The iconic Rocky & Carlo's Restaurant & Bar in Chalmette, Louisiana was again the venue for the 2018 New Orleans Radio & TV Broadcasters' Reunion on JJune 6, 2015. The menagerie was once again assembled by radio legend Bob Walker. Check out JD's photos, or his video below. 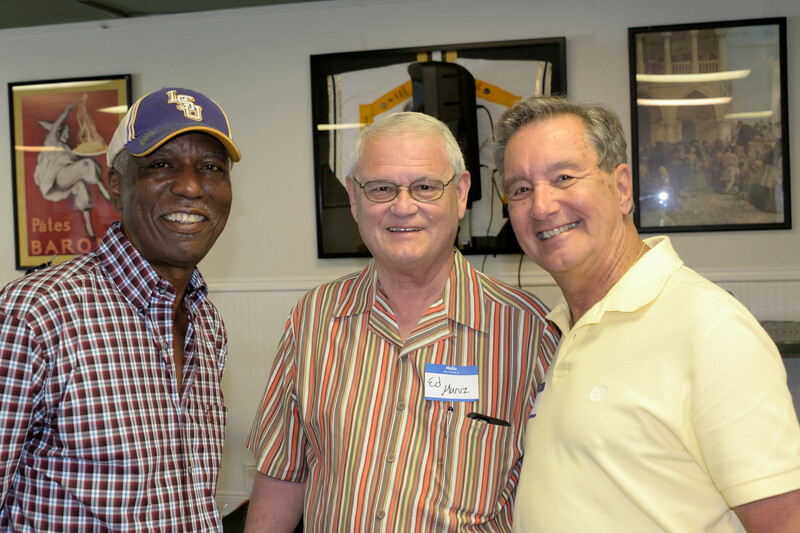 Walter Morehead, Ed Muniz, and Bob Walker. Walter was coincidentally celebrating his 75th birthday.